So the cartoon is finally finished. 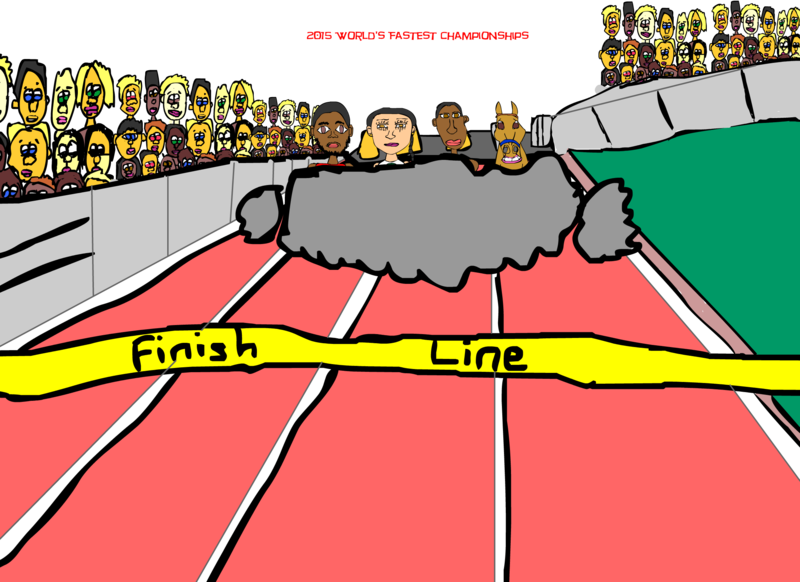 The race of all races is here so get ready to enjoy and its track and field season. The Pan American Games and the World Championships are right around the corner. So today I finished up and am putting final touches on the 2015 World’s Fastest Championships. This one should be a lot of fun. Look out for it soon until then I’ll let you guess at to who is going to win the race. Until next time. Jamaal R. James, but here’s a cartoon that was the basis for the idea or concept, winjoy. 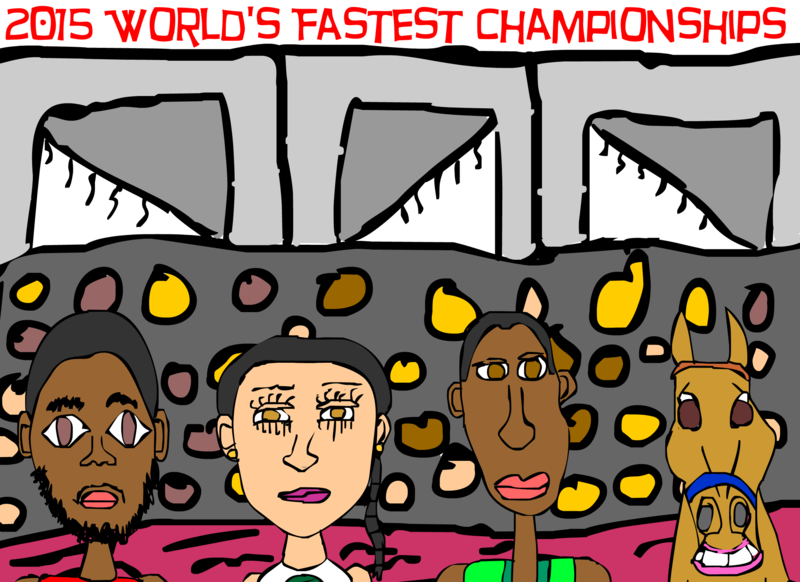 2015 World Fastest Championships created by Cartoonist Jamaal R. James for James Creative Arts And Entertainment Company.